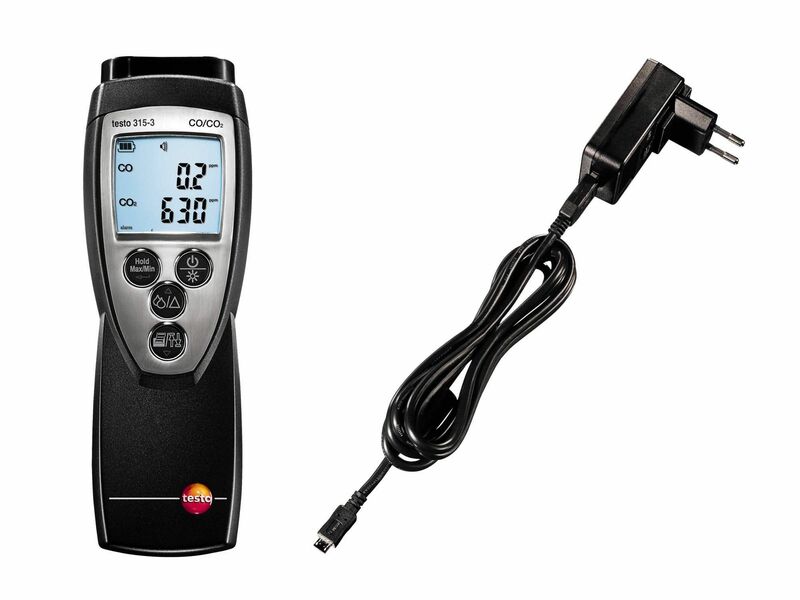 The worldwide uninterrupted pollution of the atmosphere and more and more rules and regulations mean that flue gas analysis and emission control is becoming more and more important. It serves to reduce pollutant emission from combustion systems and it meets the objective of using energy as efficiently as possible. 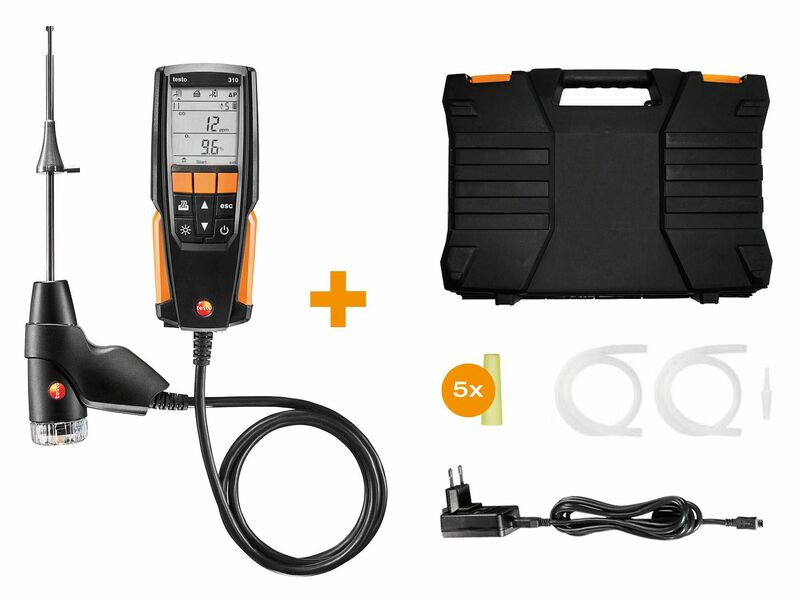 Carry out installation and maintenance work on heating systems several times a day using the flue gas analyzer with Longlife sensors. 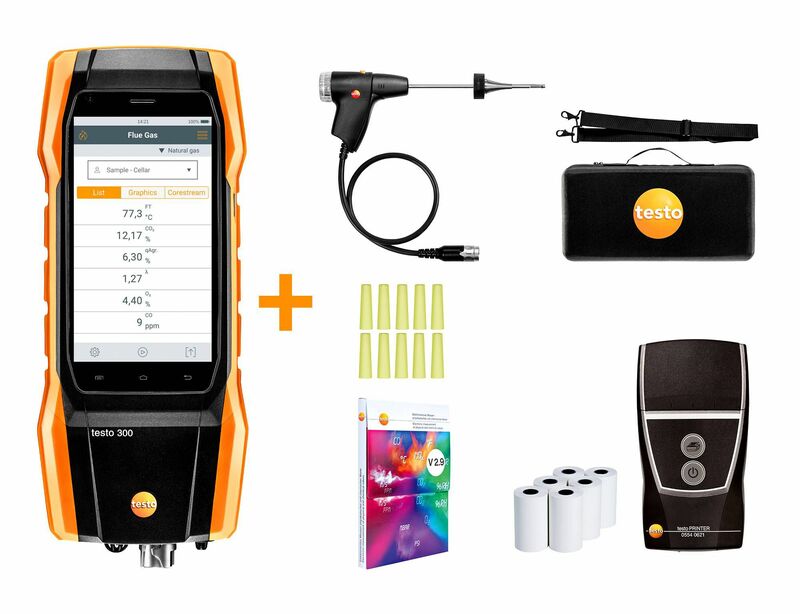 The TÜV-tested testo 300 Longlife flue gas analyzer is supplied with O2 and CO sensor up to 4,000 ppm (NO - can be retrofitted), basic flue gas probe, testo Bluetooth® printer, case and practical accessories. 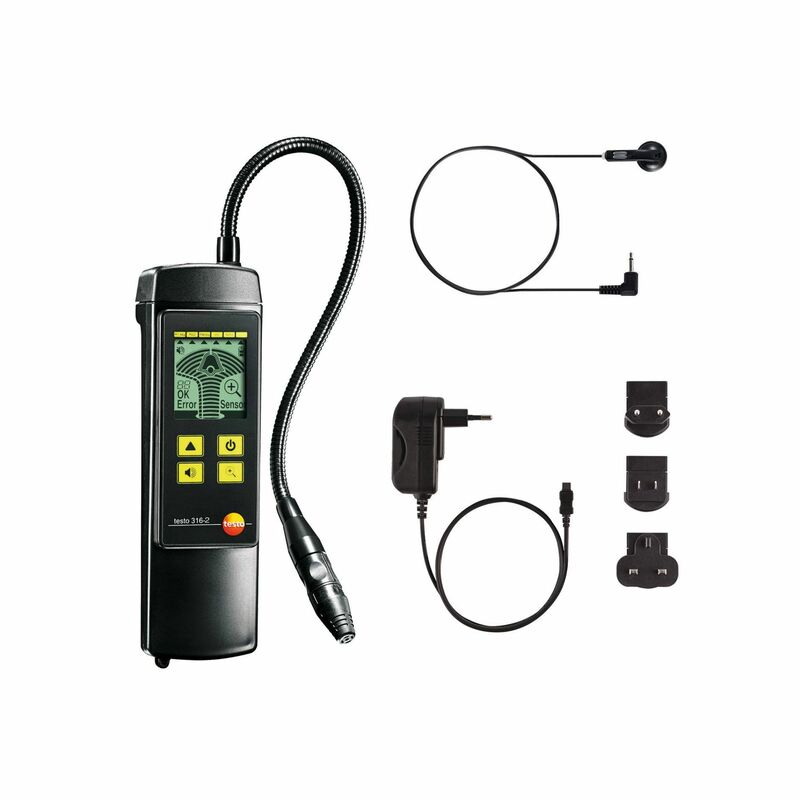 Speedy and sure gas leak detection. 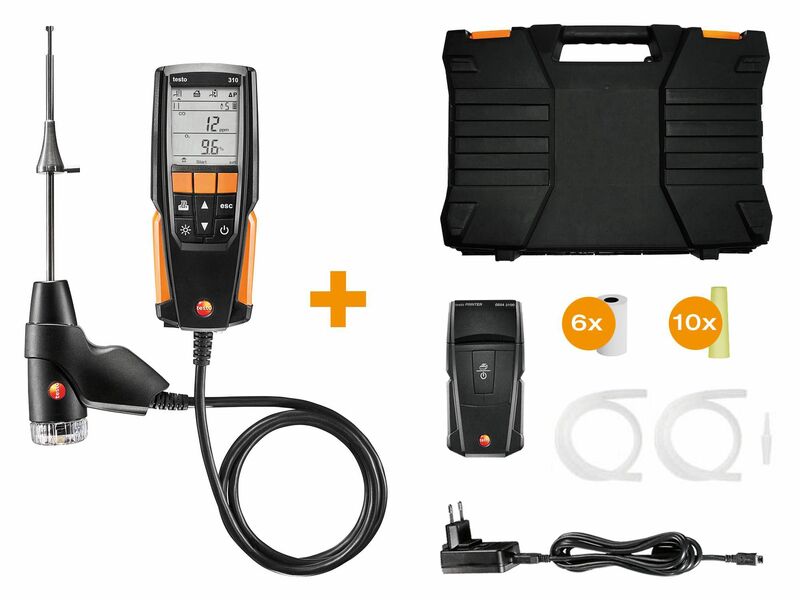 The testo 316-2 provides you with a quick and reliable means of detecting methane, propane and hydrogen in the surrounding air. The gas concentration is displayed in the form of an easy-to-read bar and an alarm is triggered when a threshold is crossed. Being a systems mechanic you know only too well how tough things can get when you’re working out in the field. 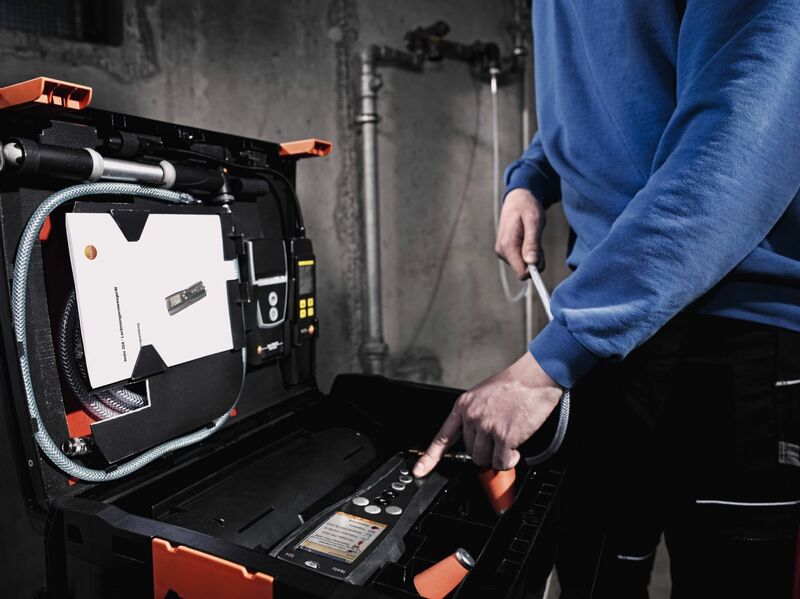 That’s why your measuring tools need to be rugged and reliable. 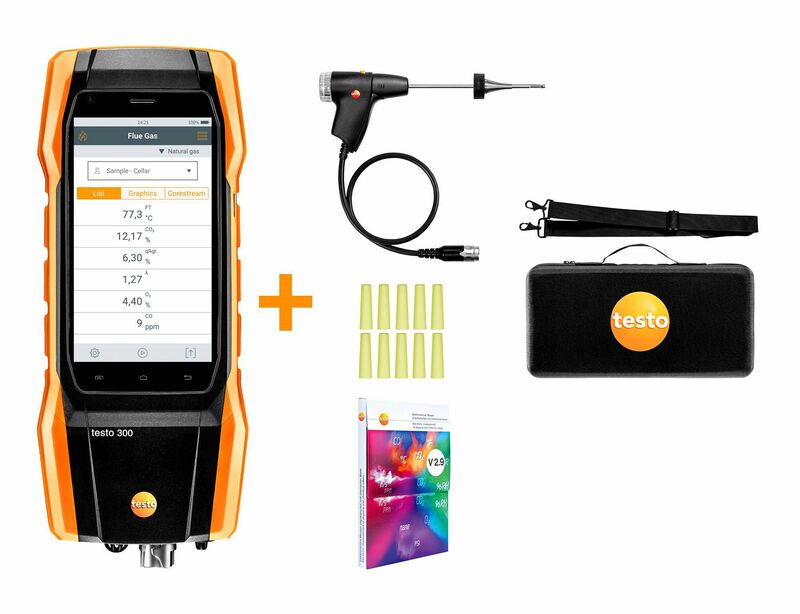 Like the testo 310 flue gas analyzer. Designed especially for use in the field. 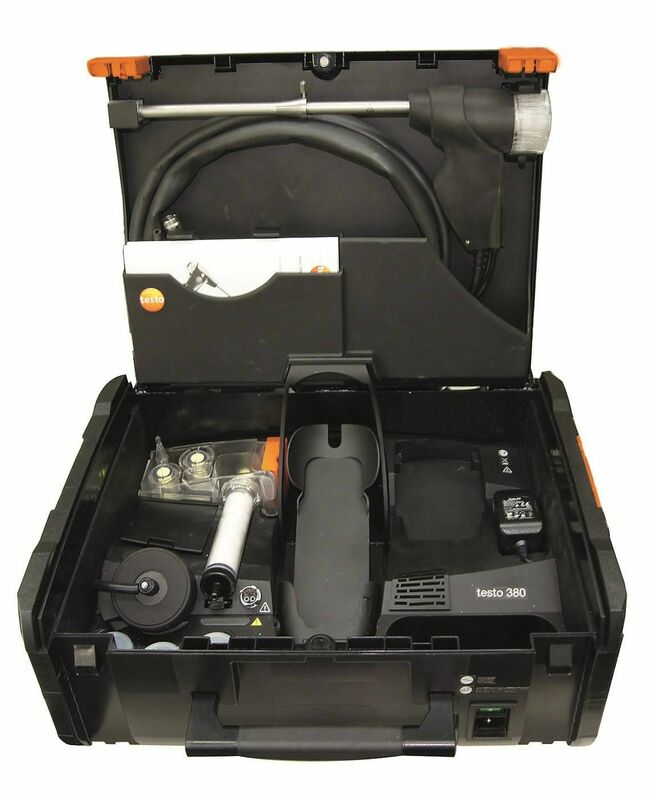 Speedy and sure detection of gas leaks in natural gas pipes. 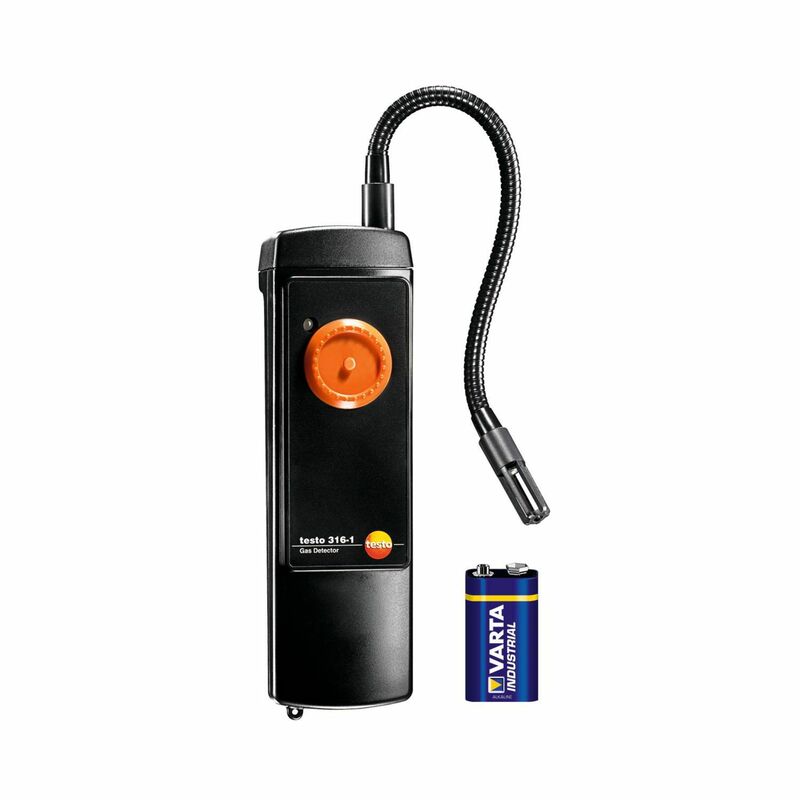 The testo 316-1 leak detector with two-stage visual alarm system is ideal for carrying out quick and reliable checks. 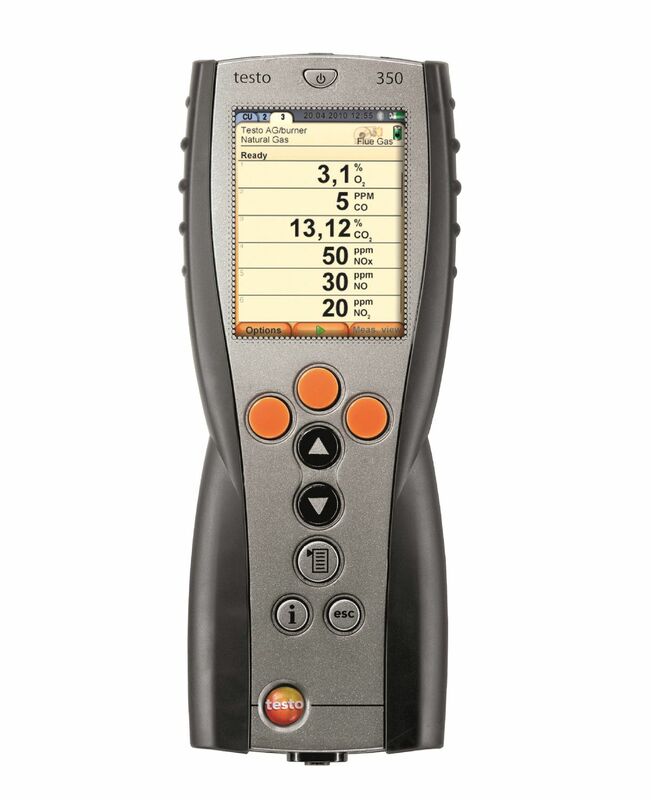 Do you want to test quickly and efficiently whether there is a gas leak on gas pipe connections? 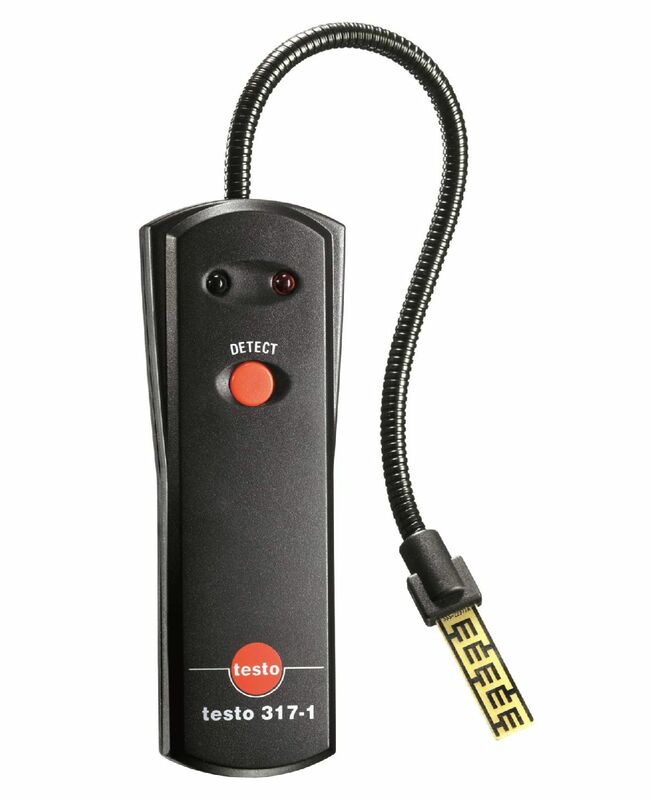 Let the reliable testo 317-2 gas leak detector support you in your task. 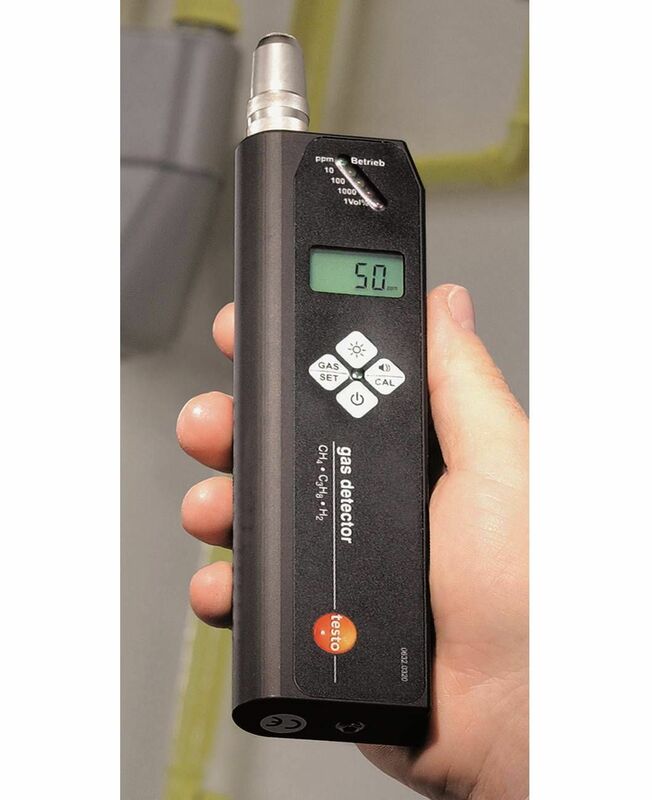 The handy gas detector for new users detects methane and propane. Gas leaks on heating systems can quickly become a problem, because breathing in poisonous gases leads to health risks or even a risk of death. With the testo 317-1 back pressure indicator you have a handy measuring instrument which detects escaping heating flue gases quickly and reliably. As a chimney sweep, heating engineer or service technician you are required by law to abide to the rules and regulations (like the 1. BlmSchV – Ord. 1 of the Federal Immission Control Ordinance) which apply to your field and profession. 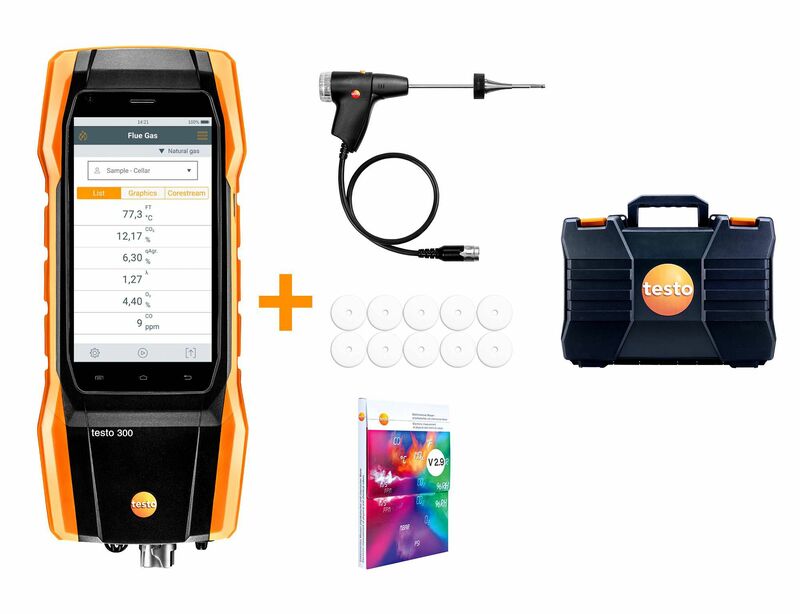 You can rely on the testo 380 to help you to carry out your daily tasks because it is certified for use with solid, liquid and gaseous fuels as well as for the threshold values 1 and 2 according to 1. BlmSchV. 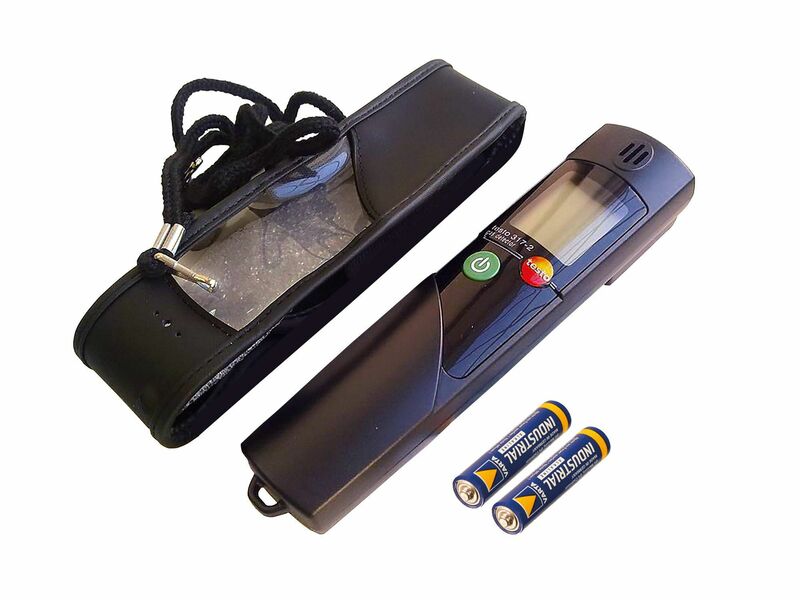 The easy-to-use particle counter can take you through the preprogrammed measuring programm of the BlmSchV and save you heaps of time and hassle. 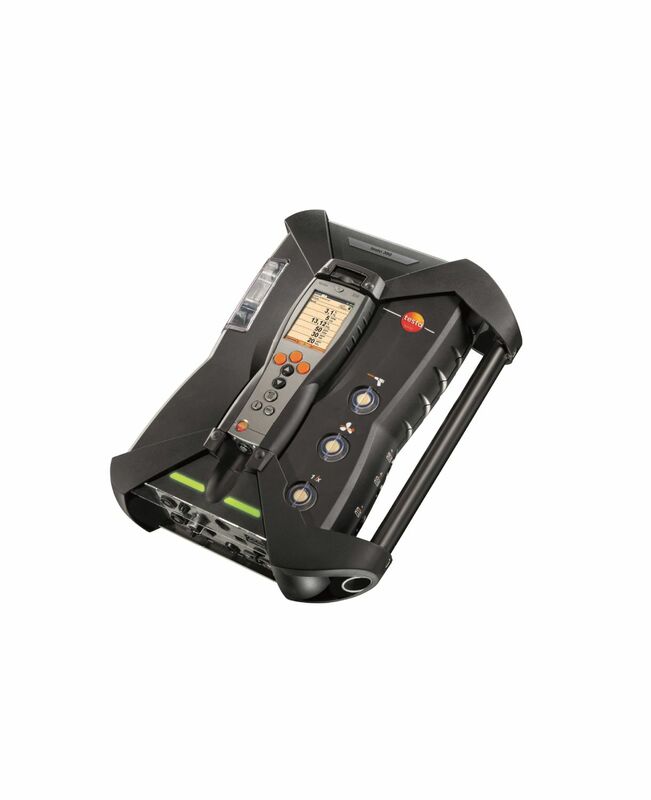 Testo's robust gas detector is a multi-range instrument for detecting methane, propane and hydrogen gases. 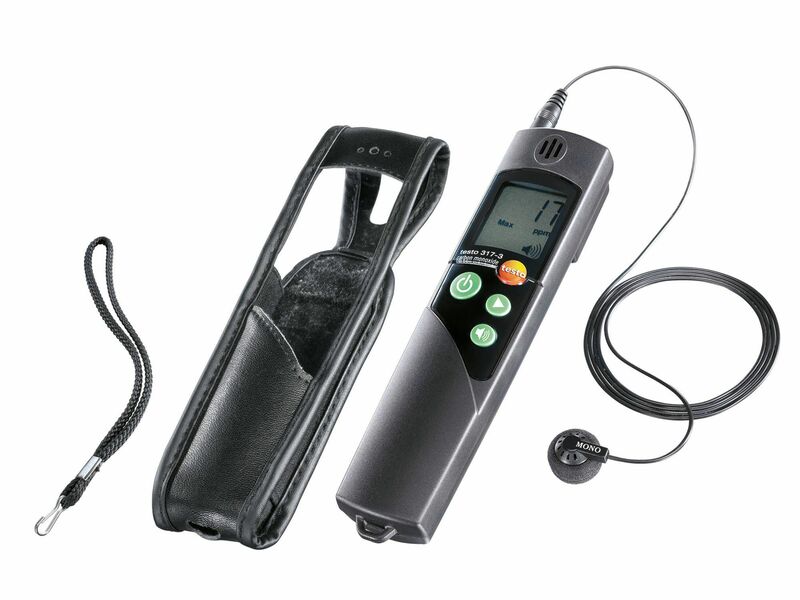 It has a display which enables direct reading of the ppm-values.